A boat just for you. Blue Juniata specializes in small, lightweight personal watercraft, supplies, and plans. The oak, ash, and pine frame of one of our skin on frame boats. 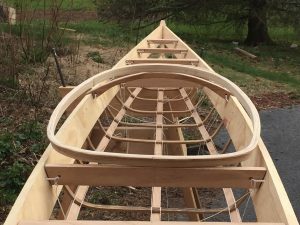 This boat is based on East Greenland traditional kayaks. Our boats are handmade with the best of traditional and modern materials and techniques. We build for economy and use. We believe in the aesthetic of working boats – real boats meant to float. We want you out on the water, having your kind of fun. A busy boat shop. 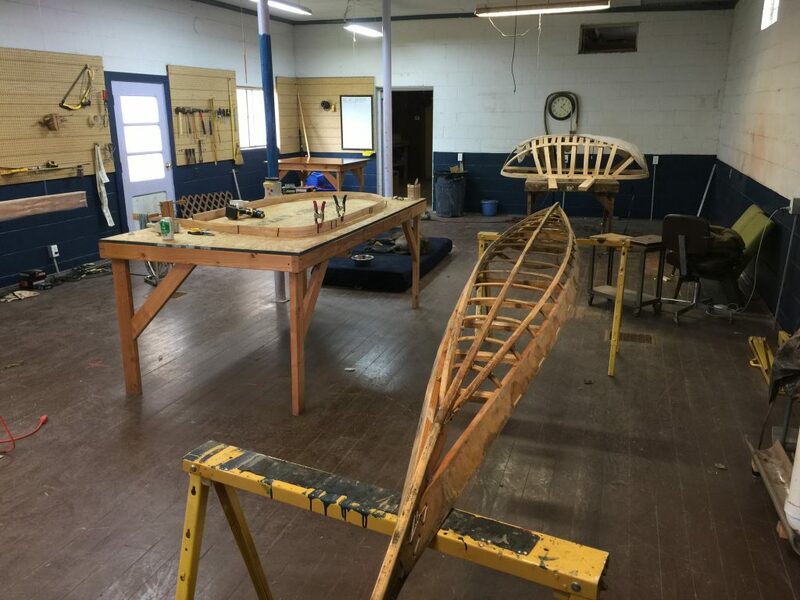 Beginning a coracle, finishing a coracle frame, and reskinning a greenland kayak.